Problem Out Walking? Let us know! We continue to keep busy. 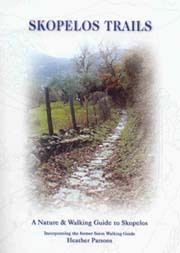 The Retsina Trail from Diakopi, up to Ag Georgos (Anania hill) and back down to Nancy, Pirgos, has been cleaned. Many thanks to volunteers Rory from Ireland, Allie from Canada plus Austin and Polly from Australia, for all the hard work. 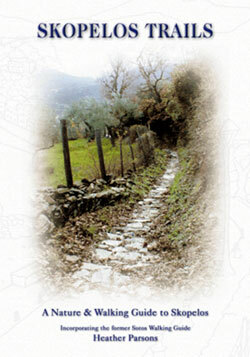 We also spent two days reopening a blocked portion of trail from Vromoneri spring near Potami up to Raches. There’s a route change in Kambos too on the Panormos walk. Note that the Kimissia trail up to Pirgos now starts earlier via a new dirt road. We’ve put signs up.